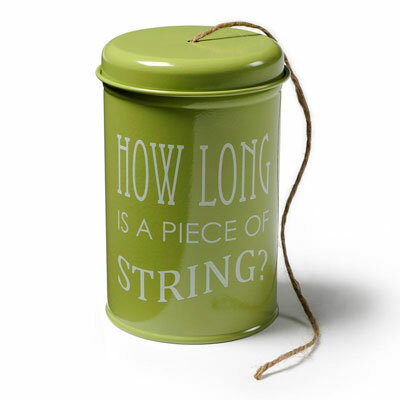 Ah, the elusive question: "How long is a piece of string?" Well, now you can decide with this handy enamel tin that keeps twine neat and tidy. With endless gardening uses, our natural jute twine is kept tangle free and accessible. A great gift or stocking stuffer for any gardener. Made of 3-ply natural jute. 120m/394' of twine included.